As middle schoolers, Natalie, Victoria and Sophie have just reached the age of walking to and from school alone. “I do that thing where you hold a key in between your fingers,” said Victoria, an eleven year old who’s just started commuting to and from JHS 157. 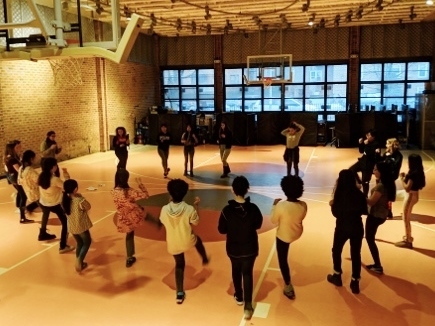 The three girls recently took their first self defense class at our Forest Hills Community Center. 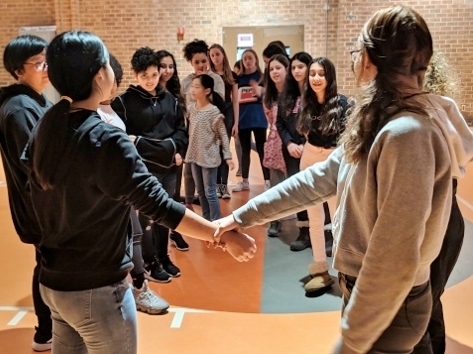 As participants of our Access For Young Women Program, which organized the class in partnership with Center for Anti-Violence Education, the girls meet weekly to discuss issues that affect them and their peers.